The HSSU Division of IT Services is committed to fulfilling its role in supporting the technology needs of the University’s faculty, staff, students, alumni, and administration. Our decisions and actions are rooted in the idea that we cannot complete our departmental mission if we are not contributing substantially the institution’s mission. To that end, our primary goal is to help facilitate the teaching and learning process of instructors and students in higher education. We do this by striving to provide excellent core technology and support for systems and processes we manage. IT Services supports a number of technology initiatives, including the University's Internet and intranet presence, the University's email system, MYHSSU/eLearning, media creation, and various other services. IT Services is also the primary provider for campus networking, computer software and hardware maintenance for University-owned computers. 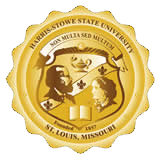 Help Desk services for faculty, staff, and students may be requested by contacting us at (314)340-3327 or emailing helpdesk@hssu.edu. The Office of Institutional Research (IR) is a function within the Division of IT Services. The primary purpose of IR is to provide data to stakeholders which helps to better understand overall institutional effectiveness. While the Division of Information Technology and the Office of Institutional Research consult on various aspects of the institution’s assessment activities, the primary role of IT/IR is to provide complementary data that support the institution’s assessment practices. Individual academic units, support units, and formalized committees develop and maintain assessment plans that are consistent with University assessment goals; IT/IR provide data that assists units in evaluating performance trends of those goals. One of the largest areas of data collection focuses on student outcomes. Therefore, current students and graduates of HSSU are strongly encouraged to cooperate with the institution’s assessment efforts to improve the quality of the education of future students. Student confidentiality is continuously and carefully maintained during assessment and data-collection efforts. Authentic assessments can accommodate students with varying abilities, learning styles, cultural backgrounds and experiential backgrounds.